Step out in the sun and watch the magic happen. 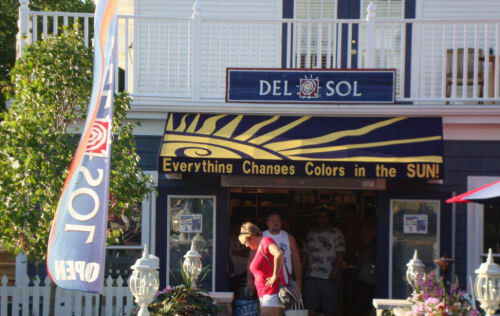 Here on Put in Bay is Ohio's only Del Sol store. This well known company has locations around the world offering their color changing products. Shirts, Board Shorts, Hats, Jewelry, Sunglasses, Toys, and watches among other offerings highlight their selection. Located across from the bakery in Harbor Village.